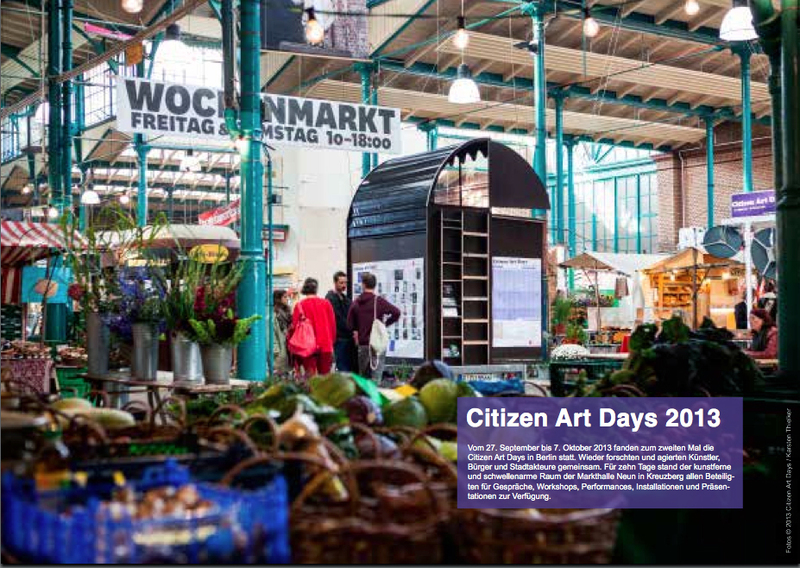 From 27th September until 7th October 2013 the Citizen Art Days (CAD) will take place for the second time in Berlin. 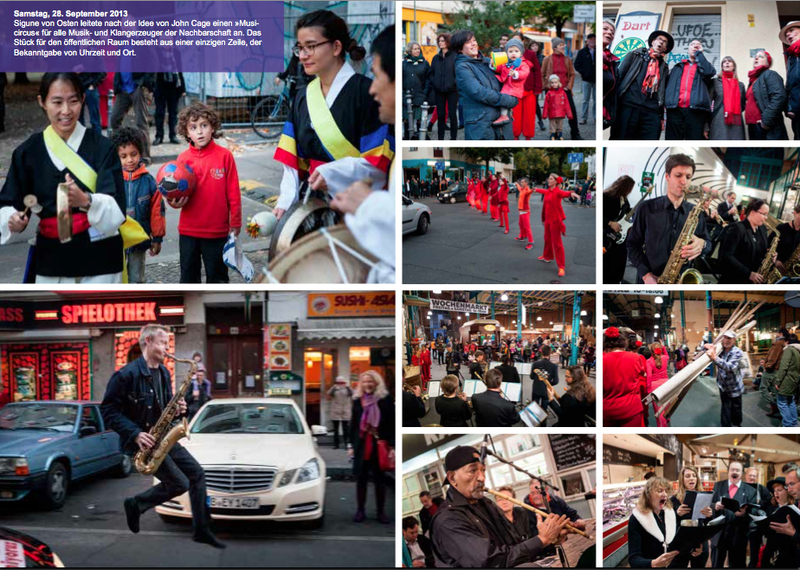 Artists, citizens and cityactivists will agitate and research together one more time. Participants are invited to develop and enquire new forms ofparticipation for a sustainable and most just cooperation. The art that will be developed in these 10 days and for which the Citizen Art Days stand, can only be experienced. 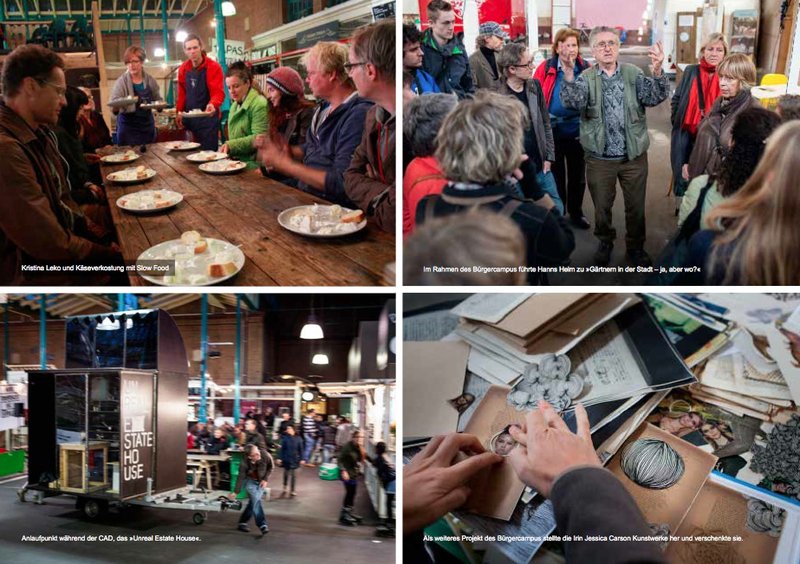 For ten days the space of Markthalle Neun in Kreuzberg, usually not used for art and with a low threshold, is open for exchange, workshops and performances as well as installations and presentations around the topic of 2013 which is “practiced post growth economy”. British artist Shelley Sacks. Together with the philosopher Wolfgang Zumdick she initiates several twelvehour Frame Talks to turn everybody’s eye towards taking more responsibility in forming our society and our planet. 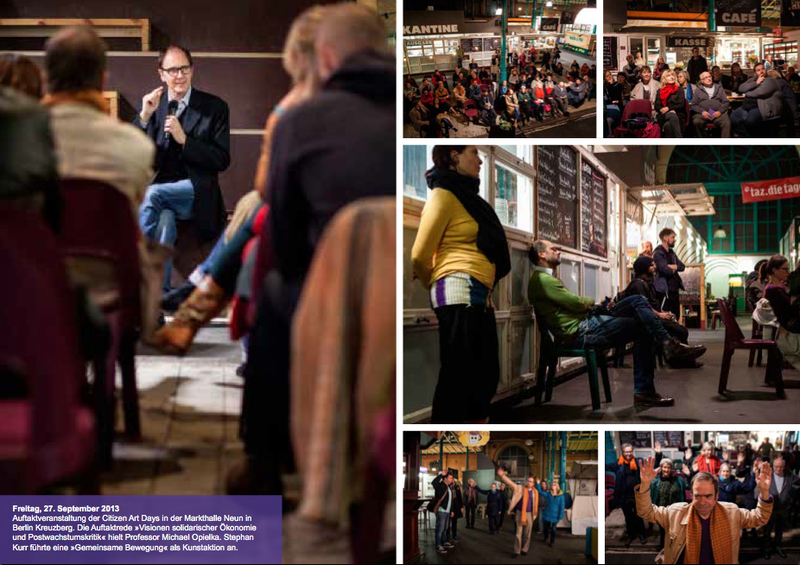 The artists group Reinigungsgesellschaft will found a “Migration Learning Center” at the Markthalle. 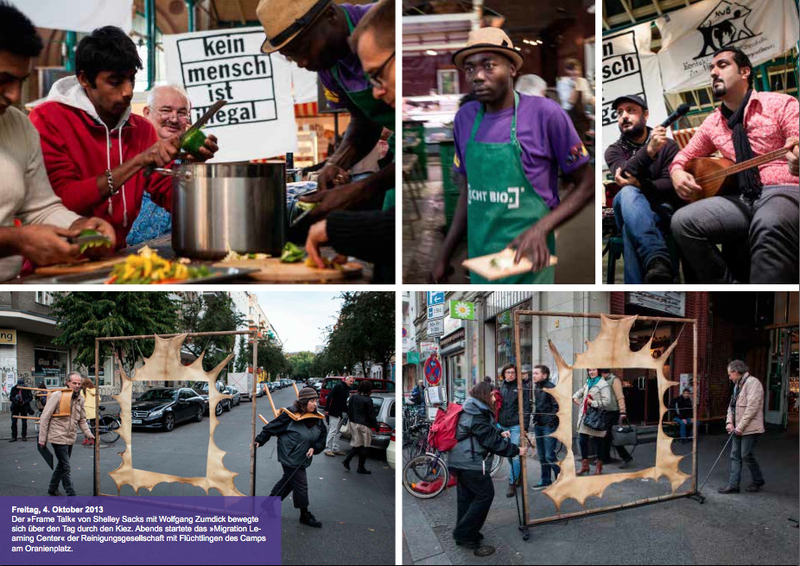 Skills and life of refugees from the camp at Oranienplatz will be displayed. Internationally well-known music artist Sigune von Osten produces and conducts a Music Circus, an idea for open space by John Cage. Andreas Wegner will put alive animals into the centre of market events with his “Poultry Art Days”. Jaana Pruess is going to present a “Market of Abilities” in cooperation with various initiatives. 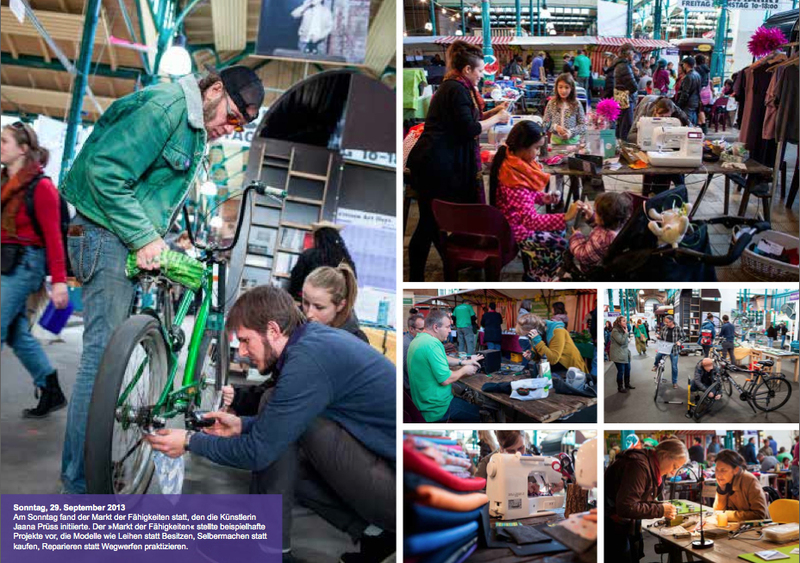 Folke Koebberling transforms “discount stores into market booths”. 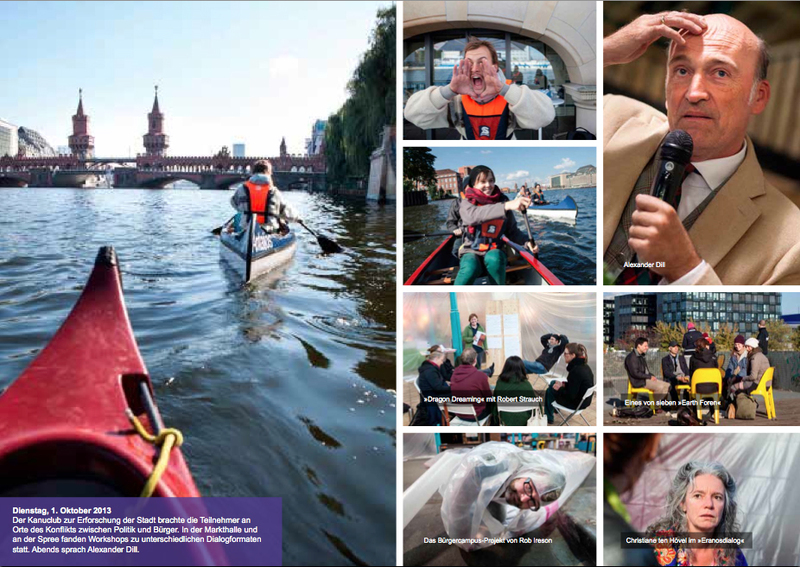 A novelty in this years’ programme is the Citizen Campus. 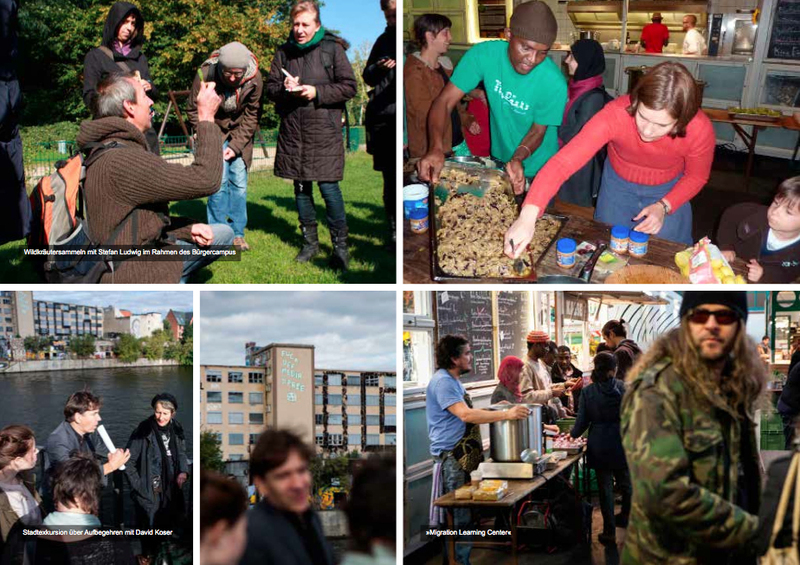 Through an Open Call, citizens had the opportunity to submit project ideas for the CAD 2013. 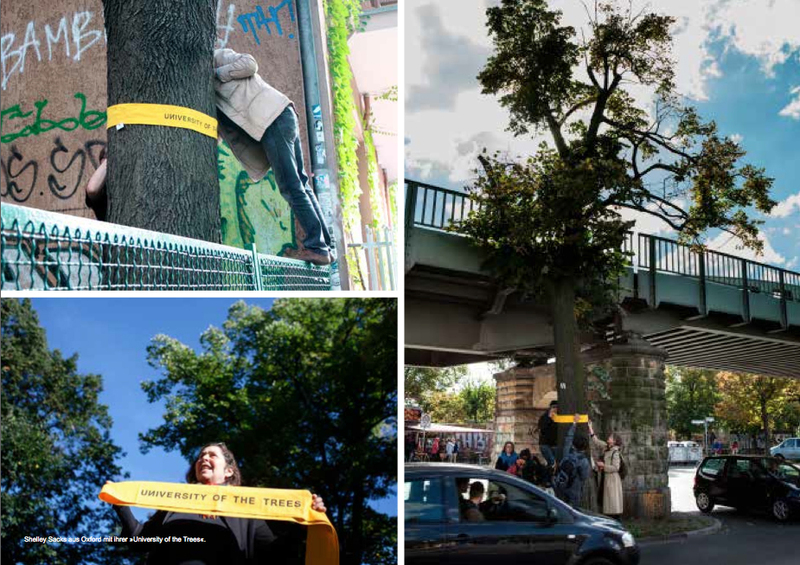 Artist Susanne Bosch supports these projects. The 2nd October will be a thematic day in the discourse around “practiced post growth economy”. 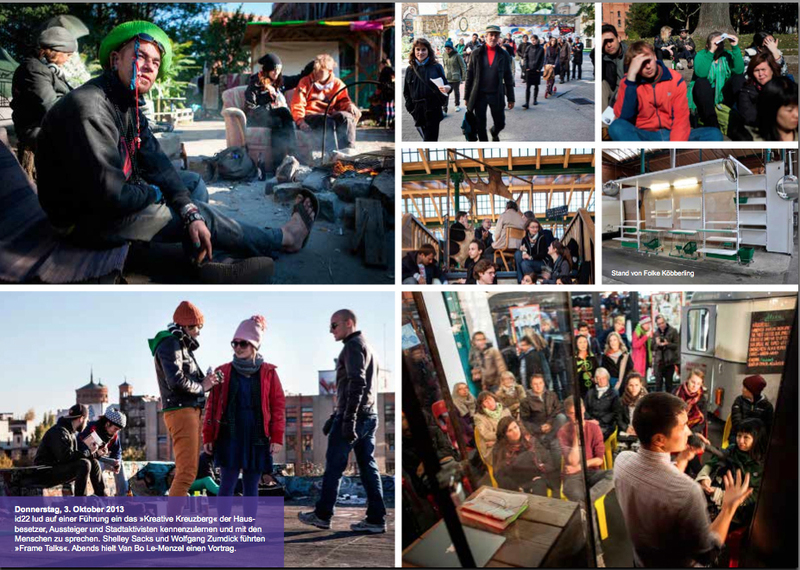 There will be a dialogue between the artists and local activists and initiatives working in the field. Michael Opielka / Alexander Dill / Wolfgang Zumdick / Johannes Stüttgen / André Stern / Kristina Leko / Marjetica Portč / Van Bo Le-Mentzel / Christiane ten Hoevel / David Koser / Mutartlabor / Stephan Kurr / Robert Strauch / ID22 / querstadtein / Kanuclub zur Erforschung der Stadt. For the opening on 27th September at 7 pm, Michael Opielka, Scientific and Managing Director of the Institute for Futures Studies and Technology Assessment, presents critique on post growth economics.The evening will be completed by Stephan Kurr initiating a “Collective Movement”. 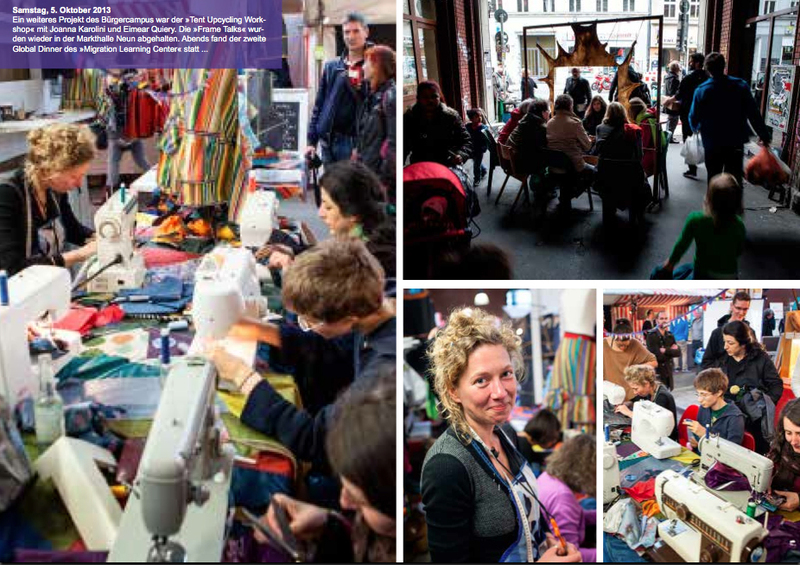 The location for the Citizen Arts Days 2013 has been chosen carefully because it stands as green market for questions of cooperation, the negotiation of processes and economic and sustainability questions. The Citizen Art Days are initiated and curated by the artists group “Parallele Welten/Paral- lel Worlds” (Stefan Krüskemper, María Linares, Kerstin Polzin) and kindly supported by the Bundeszentrale fur politische Bildung. Der Treffpunkt wird nach erfolgreicher Anmeldung bekanntgegeben. Schöneberg. Der Treffpunkt wird nach erfolgreicher Anmeldung bekanntgegeben. Spree. Der Treffpunkt wird nach erfolgreicher Anmeldung bekanntgegeben. Treptower Park. Der Treffpunkt wird nach erfolgreicher Anmeldung bekanntgegeben. Stadtexkursion. Der Treffpunkt wird nach erfolgreicher Anmeldung bekanntgegeben. Eisenbahnstraße, vor der Markthalle Neun.